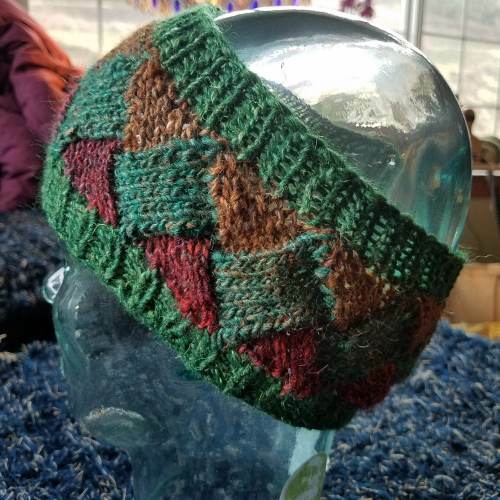 Keep your ears warm in high fashion with this entrelac headband knit in Silk Garden and Silk Garden Solo. The pattern is written in 2 sizes (17 and 19 inches, 43 and 48 cm) It is knit in the round on a #6 - 16 inch, 4.0mm - 32cm long circular needle. Line by line instructions makes this pattern easy to follow.